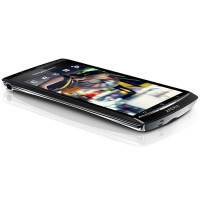 The beginning of 2012 may come with good news for all the Sony Ericsson Xperia users, as it is said that Ice Cream Sandwich should arrive the first week of January 2012. Xperia active, arc, arc S, mini, mini pro, neo V, neo, pro, Play, Xperia ray and Live with Walkman may enjoy the Ice Cream Sandwich update sooner than expected. Although the Facebook post from Sony Ericsson Italy was telling us that the update should arrive around March 2012, now, a Sony employee tweeted that we might receive the Android 4.0 Ice Cream Sandwich three months earlier, in the first week of January 2012. The nice part of all this is that we’ll find out for sure if this is true in a month from now. So we don’t have to wait so long. However, Xperia arc and Ice Cream Sandwich firmware has been submitted for certification. Which means we might actually see the Ice Cream Sandwich update quite soon.